Israeli settlers from the illegal Metarim industrial zone, located to the east of Dhahiriya, south of Hebron, flooded land belonging to Palestinians. Bahjat Jabarin, Project and Proposal Manager of Environmental Quality Authority in Hebron, said the illegal settlement of Metarim includes four factories for soap, stone cutting, mineral oils and aluminum. 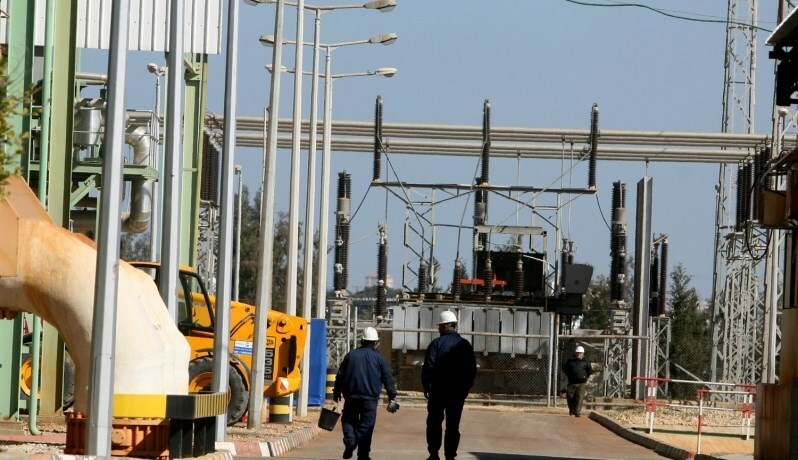 WAFA correspondence reported that, in the last two days, settlers intentionally discharged a huge amount of wastewater produced in these factories to farmers’ lands, which Palestinians use for agricultural purposes, said Jabarin. He added that the settlement directorate took over dozens of acres of the land and planted solar cells in the area. Khirbet Zanuta, which was flooded with wastewater, is rich with archaeological sites and is inhabited by 30 families living in caves and tents. The families make their living through raising animals and agriculture. The inhabitants of this area suffer from the constant risk of displacement and prosecution by the Israeli army and settlers, in addition to restricting their access through shutting down the main road leading to the Khirba. It is located five kilometers east of Dhahiriya, adjacent to al-Samu' town on the bypass road linking to Kiryat Arba, Ariel, Shima, and Tene settlements and the Beersheba crossing. Israeli occupation forces (IOF) pumped sewage water into Palestinian farmland cultivated with olive trees in Takoe village, east of Bethlehem. Local sources said that the IOF soldiers on Friday drenched the olive trees at the western entrance of the village with sewage water. They said that the act would damage the olive trees and affect harvesting olives. The farmers and citizens of Salfit city, and of Kafr Al-Deek town, in the southern occupied West Bank, on Sunday, made complaints about the dangerous environmental damage they were facing because of the skunk water poured by the illegal Israeli settlement of Ariel. Farmers said, according to the PNN, that the pollution is causing hideous smells and contamination of surface and groundwater after mixed with settlement sewage water. 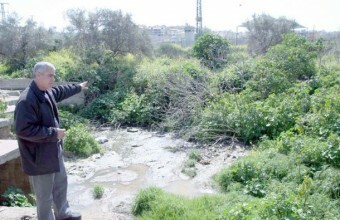 Researcher and activist Khaled Ma'ali said that the Ariel settlement and university daily pour more than 10,000 cups of sewage water in Palestinian areas, causing the pollution and contamination of many water springs and soil, sabotaging the most touristic natural areas in Salfit. Ma'ali added that 24 settlements and 4 industrial zones were draining the environment and spreading unemployment by engorging land and releasing pigs in agricultural zones, which was damaging the economy in Salfit severely. The sewage water problem has been on for years now. In December, Eyewitnesses and Palestinian shepherds on complained that the factories in the Industrial Zone of "Burkhan" Israeli Settlement near Salfit, North West Bank, every Thursday and Friday utilize the weekend, to pour waste-water all at once in the Salfit valleys. 15 minutes’ drive from central Bethlehem is the Beit Sahur Southern Pumping Station. The entire span of the compound consists of two single-story concrete structures situated amid farmland and fields. Its size and location belie its importance though, as it is one of only two stations that exist to pump Bethlehem’s waste water out of the city and surrounding area. Sulieman al-Qadi is one of the employees who operates the station. Offering a tour, he explains that on a normal day they pump 250,000 M³ of waste water out of Bethlehem and towards the Northern Pumping Station. From there the waste is pumped towards the Kidron Valley for disposal. “The problem is that the station’s equipment is 20 years old and as a result needs constant maintenance to stop it from breaking down”. Despite this maintenance, he admits, malfunctions still occur on a regular basis, resulting in blockages or the machinery becoming jammed. When this takes place the basement level of the station is liable to flood from the floor to the ceiling with waste water. Often, in order to fix the machinery, he has no choice but to dive in and swim down through the 5 meters of waste water. “I keep a pair of swimming goggles at the station” he says, a smile creeping on to his face. Across the road from the station exists a narrow irrigation ditch. When the pumping station floods, the waste water flows out of the station, across the road and directly into the ditch; with the channel sending the waste water running alongside fields, farmland and homes. Ismael Dweib, a local English teacher and campaigner on this issue, sighs when asked about the trench. “It’s a cause for illness in the community and it has a huge effect on the agriculture and environment of the area”. Living in the nearby Ras al Wad area with his family, he explains that the side effects of having the station so close to the village have only got worse as time has gone on. “The smell is often the worst part, all day and all night. Sometimes we cannot sleep because of it”. A conversation with Eng. Akram Nassar, General Manager of the Water Supply and Sewage Authority (WSSA), the private company responsible for supplying water and sanitation services in the Bethlehem area and owner of the Beit Sahur Southern Pumping Station, reveals that the company simply cannot afford to replace the equipment. Financial pressures on the WSSA are considerable as it attempts to match Bethlehem’s demand for water and waste water removal while absorbing the significant financial costs associated with Israel’s occupation of the West Bank. Chief among these costs is the hugely unequal allocation of the West Bank’s fresh water resources. Under the terms of the 1995 Oslo II Accord, Israel is allocated 71% of the of the West Bank’s only significant water resource (The Mountain Aquifer) while Palestinians are permitted to extract just 17% . However, due to a planning regime that restricts the construction and repair of Palestinian water infrastructure, the Palestinian authorities consistently extracts well under this level (B’TSelem estimates that in 2014, 86% of the water extracted from the Mountain Aquifer went to Israel and just 14% to the Palestinians ). As a result of this inequitable distribution, the WSSA is only able to buy 33% of the water it needs to cater for demand in Bethlehem from the Palestinian Authority and is forced to purchase the remaining 67% at a considerably higher rate from Israel. Further to this, Nassar explains that he has no control over the amount of water that Israel delivers to the WSSA. Whatever comes through the pipes, they have to pay for, and this can vary hugely from day to day. This has an enormous impact on the WSSA’s ability to effectively ration and budget the supply as they cannot estimate how much they will receive in the coming days, let alone weeks. To make matters worse, the meters which are attached to the pipelines and used by the WSSA to measure how much water is being delivered by Israel, are located before the pipes pass into an Israeli army base situated close to the separation barrier between Jerusalem and Bethlehem. According to Nassar, the soldiers draw off about 60,000 M³ per year (enough water to fill 24 Olympic-sized swimming pools). This situation means that the company is billed not only for water used by the people of Bethlehem, but also Israeli soldiers. On the days when the equipment at the pumping stations functions correctly and they are able to remove the waste water from the Bethlehem area, its final destination is to flow, untreated, into the Kidron Valley. Nassar explains that despite the Palestinian Authority submitting applications for a permit to construct a treatment plant, the Joint Water Committee (JWC), the mechanism by which Israel and Palestine are meant to coordinate on water issues in the West Bank, is yet to respond. Indeed, the WSSA appears to have little hope that approval could be on the horizon. The JWC, which Amnesty has described as serving to “institutionalise the intrinsically discriminatory system of Israeli control over Palestinian resources”  [PDF] has not met for over five years. Palestinian members, tired of being forced to support settlement water projects in return for approval for Palestinian infrastructure, no longer see the point of attending negotiations that one water expert described as “an exercise in subjugation and humiliation”. 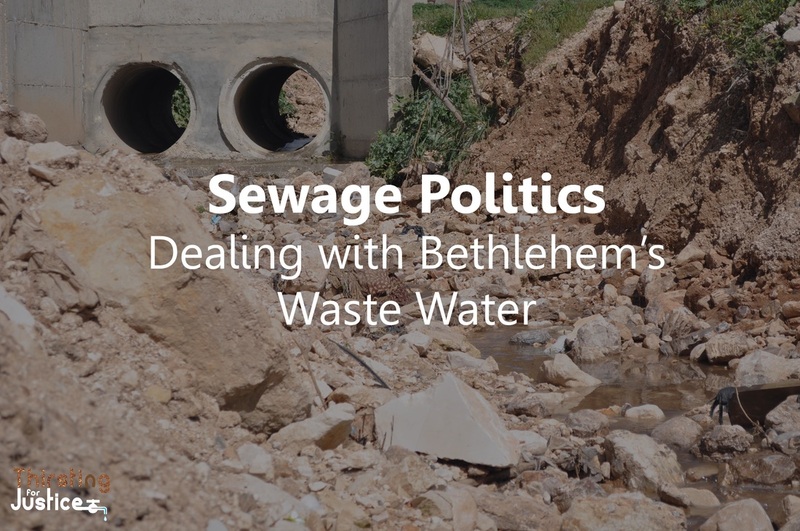 While these financial and political obstacles associated with the occupation persist it seems likely that the untreated sewage will continue to flow, either into the Kidron Valley or through the farmlands and villages surrounding Beit Sahur. Whatever the case, it looks like Sulieman al-Qadi will be donning his swimming goggles for some time yet. 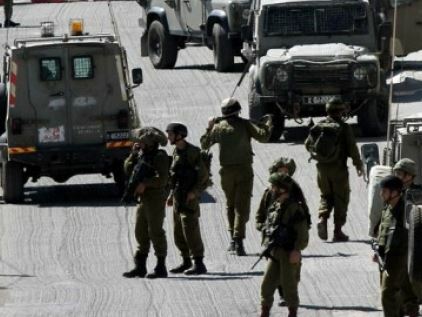 Israeli soldiers kidnapped, on Monday at dawn, three Palestinians in Nablus, Ramallah, and Bethlehem, and stormed many homes, especially in the southern West Bank district of Hebron. 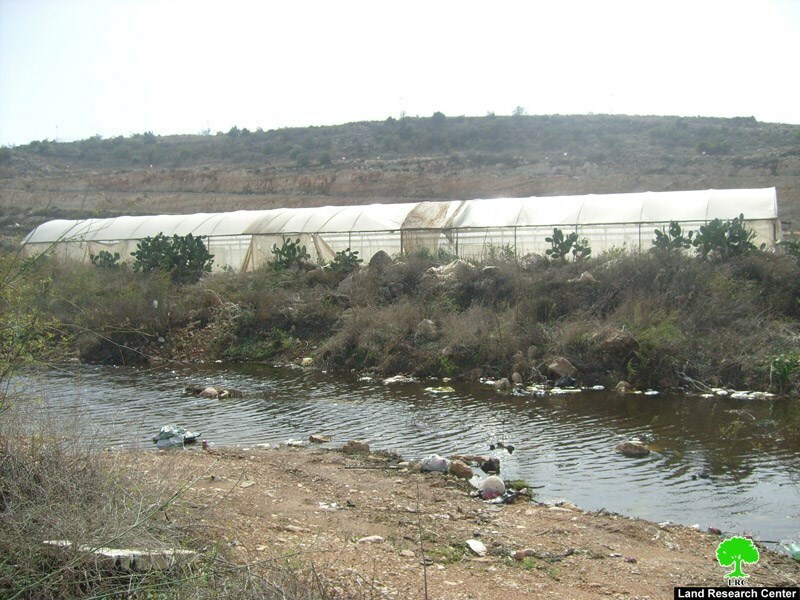 Soldiers flood agricultural lands with wastewater near Bethlehem. Media sources in Nablus, in the northern part of the occupied West Bank, said several armored Israeli military vehicles invaded Aseera ash-Shemaliyya town, stormed and searched a number of homes, and kidnapped one Palestinian identified as Ahmad Mofeed ash-Showly, 28 years of age. In addition, soldiers invaded a home of Betunia town, west of the central West Bank city of Ramallah, and kidnapped Mohammad Hashayka, 22, after storming and searching his home. The Ramallah office of the Palestinian Prisoners Society (PPS) said the soldiers cuffed and blindfolded the kidnapped Palestinian, and took him to the nearby ‘Ofer prison and military base. His brother told the PPS that the soldiers stormed the property around 4 at dawn, ransacked the place while searching it, and kidnapped his brother, who is in his fourth year in Birzeit University, studying Finance. He is a former political prisoner who, in 2011, spent eight months held under arbitrary administrative detention without charges or trial. Soldiers also invaded the al-Jabal area in Bethlehem, and kidnapped Jamal Khaled al-Hreimi, 22, after violently searching his home, and stormed a number of neighborhoods throughout the city, in addition to Beit Jala city and nearby communities. Also in Bethlehem, soldiers closed the main road in the al-Baq’a area, at the western entrance of Teqoua’ town, east of Bethlehem, and opened sewage pipes, flooding dozens of Palestinian olive trees. Head of the Teqoua’ Local Council, Taiseer Abu Mfarreh, told the Radio Bethlehem 2000 that the soldiers, including some in civilian clothes, conducted training in the area, causing panic attacks among several residents, especially the children. In addition, soldiers invaded various neighborhoods in the southern West Bank city of Hebron, a number of nearby towns, installed several roadblocks before stopping and searching dozens of cars, and investigated the ID cards of the passengers while questioning them. Besides Hebron city, the invasion mainly targeted Bani Neim, Halhoul and Sa’ir towns, and the northern entrance of Jouret Bahlas area in Hebron.